1977 was an important year for PC gamers! 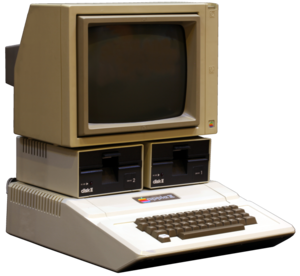 One of the first popular home computer series was released – Apple II home computer series (Apple II, Apple II Plus, Apple IIe, Apple IIc, Apple IIGS and others). Between the release of the series and the end of production (1993) around 5-6 million computers were produced and sold! Apple II series was a gaming platform for huge library of games, but before 1978 no games were released (except Adventure in 1976 for Apple I). I will start writing about the games on Apple II series when the time is chronologically right! In my next post I will write about the best games released for Arcade Coin-Op Machine in 1977!